The art of branding in business to business communications. The art of branding in business to business communication. Modern minds are awash with brands, consumers are exposed to thousands of logos and marketing messages. With the voluminous nature of branding today, competition for market attention has never been fiercer. 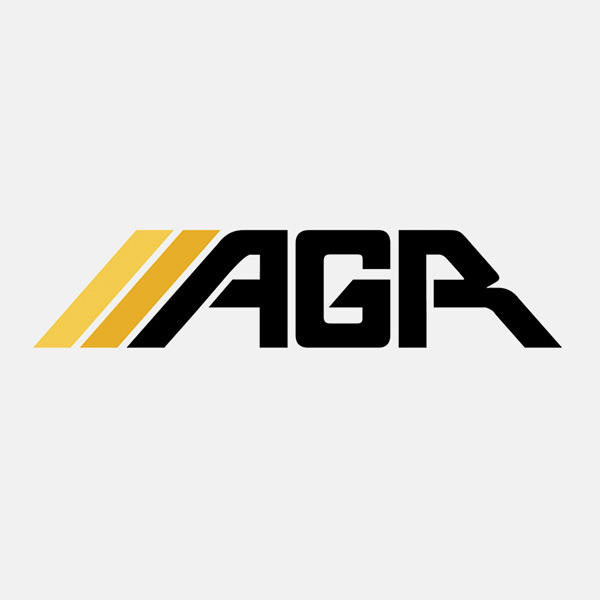 Recently completed brand identity for AGR, Perth. The purpose of branding is to help businesses differentiate themselves from their competitors, by communicating messages and portraying company values. When approaching business to business branding, we can identify numerous benefits. When evaluating the value of a future business relationship, the first task of good branding is to instil confidence. Depending on the firm and their niche, branding seeks to reassure recipients that they are dealing with a company that possess professionalism and integrity. For example, we need only cast our gaze over the millions of discreet minimalist style websites that companies use today to see that efficient professionalism has lost none of its selling potential. All business to business relationships are built on trust, so the projection of a strong professional ethic is hardly a surprise. If creating a professional looking facade were the totality of branding, we wouldn’t be seeing millions of dollars being thrown at branding consultants every year. The crafting of a brand is largely dependent upon niche and service. The ability to perfectly communicate the values and mission of a company using subtext is a high art in modern commerce. Branding should effortlessly communicate identity without looking like marketing; the maxim of the modern brand expert is “to have no marketing as marketing”. Imparting such themes is achieved through a fluid creative process built on a solid set of principles. Like great works of art, the best branding communicates in layers. The first impression is largely a visual and somewhat visceral experience, this must then be compounded upon by recurring themes. If you are a business that deals with a specific demographic then your entire branding experience must coherently communicate with them in their language. By crafting a solid identity you give customers a “personality” to relate to. A company which is confident in its branding is going to appear confident in its core mission. Once again it’s about trust, other businesses want to be certain on what they are dealing with before they engage external resources. This concept also applies to discouraging potential competition, confident branding stamps your territory and could be the difference between a rival entering your niche and being dissuaded. Creating a brand which appeals as much to other businesses as to customers requires planning. Identifying your core mission and the key attributes your company will use to achieve the mission gives you the message. That’s perhaps even the easy part. The true art comes in finding a unique brand position, with the appropriate depth to communicate that message in multiple layers over time. It will take lot of effort to craft a branding masterpiece, but the rewards are well worth it.